Classical concerts don’t get much better than this. 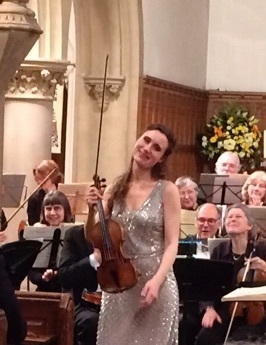 An intimate venue with the soloist and orchestra within touching distance. A world class soloist delivering an emotional performance. An orchestra playing it’s heart out. the setting for a remarkable musical evening in the presence of Jennifer Pike (an acclaimed violinist) and the Hertfordshire Chamber Orchestra conducted by Jonathan Bloxham. All the previous classical concerts I have attended have been at traditional venues like the Festival Hall, Usher Hall and Liverpool Philharmonic Hall where the audience, apart from the few front rows,are some distance from the stage. 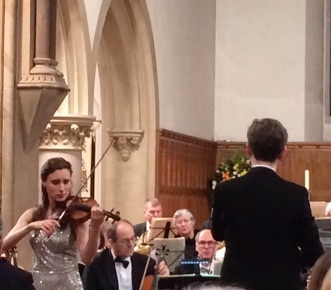 Being in a church and only a few yards and on the same level as the orchestra made the concert a totally intimate and involving musical experience. You could feel the emotion exuding from Jennifer as she played Dvorak’s Violin Concerto in A minor. A supreme talent, graceful and beautiful. Beethoven’s Symphony No 7 was a powerful rendition by the Chamber Orchestra of this ever popular symphony. Conductor Jonathan Bloxham demonstrated his skills perfectly across all movements. The concert opened with a performance of Zoltan Kodaly’s ‘Summer Evening’ ...perfect start to take your mind off the cold night. During the interval guests were able to enjoy refreshments from the temporary bar before listening to a heartfelt story from the A-T Society who were the beneficiaries of the event. They are Harpenden based with just a handful of staff with support from volunteers and medical professionals helping to alleviate a genetic condition called Ataxia- telangiectasia. The concert was sponsored by Hicks. Accountants in Harpenden. will also be repeating his role as Deputy Town Mayor for 2017/18. The outgoing Town Mayor, Councillor Mrs Nicola Linacre, was presented with a certificate, photo album and badge and thanked for all her hard work and dedication during her year in office. She wished Councillor Farmer a successful year. Rosemary is looking forward to the opportunity of being Town Mayor of Harpenden again and to meeting and working with Harpenden’s communities. The Town Mayor said ‘My theme for the year is ‘Reaching Out to the Lonely and Forgotten’. I have chosen to support two local charities this year; Harpenden Connect and Rennie Grove Hospice Care. Harpenden Connect is the charity set up to run our new volunteer operated hail and ride Harpenden Hopper community bus service serving areas of the town with little or no commercial bus services. A second Hopper will be used to take the elderly and disadvantaged on trips helping to combat isolation and provide a social outlet for those who are seldom able to get out for pure enjoyment. Rennie Grove Hospice Care has been providing care and support for those with life-limiting illness for over 30 years. I will be fund raising to help with the cost of providing Hospice at Home care in Harpenden. 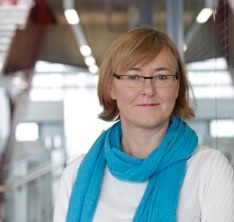 Award-winning journalist, Susan Watts, is to join Rothamsted Research as Head of Communications. The appointment comes as the institute launches its 5-year strategy “Global Science, Lasting Benefit” to address the need to feed a growing world population in a more sustainable manner with smarter agricultural technology, to make British farming more sustainable and successful, to broaden the institute’s engagement with private and public sector partners worldwide, and to diversify the bioeconomy with crops for the pharmaceutical and processing industries. The former BBC journalist joins the institute from the Medical Research Council’s London Institute of Medical Sciences, based at the Hammersmith Hospital campus of Imperial College London, where she is responsible for strategic communications and public engagement. Susan is also a regular speaker at science festivals, hosts debates and works with leading science-as-culture organisations. She will take up the Rothamsted post in Autumn 2017. Susan’s background is in science journalism, especially where science meets policy. A physics graduate of Imperial College, she has worked in print, atNature, Computer Weekly, New Scientist and The Independent newspaper. She is best known for her science coverage on the BBC’s Newsnightprogramme, where she told inspiring, influential and policy-changing stories of science, technology, medicine and health, and their political, social and economic impact. While at Newsnight, Susan won a Royal Television Society award for science journalism and was responsible for much of the coverage of the BSE crisis, for which the programme won a Bafta. 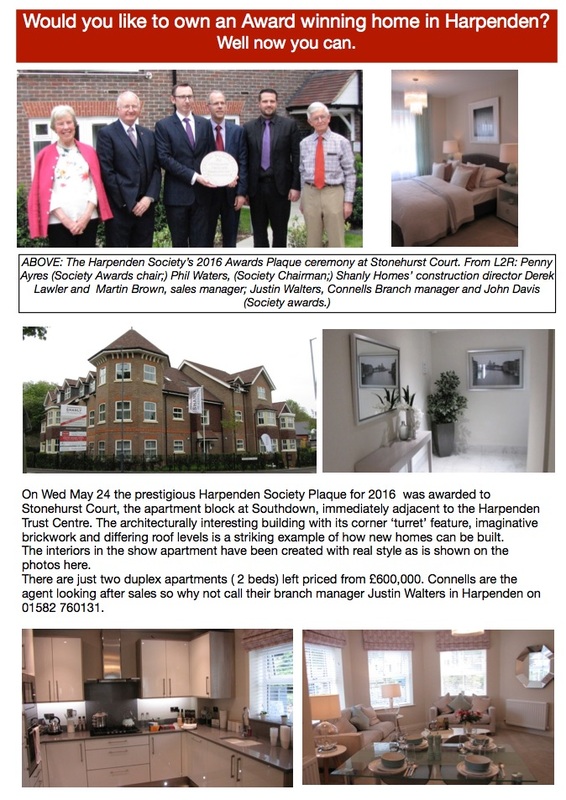 chairman of the Harpenden Trust. The complexities of highways, byways, and Public Rights of Way (PROW) were explained by Phil Escritt in a fascinating talk on 25 May 2017 to 35 STACC members and others at Marlborough Road Methodist Church, St Albans. He said that the origins of some rights of way are lost in the mists of time while other categories of highway are a much more recent development. In some cases there are unresolved anomalies in the status of even well used paths. This feeds through into rights of way information on Ordnance Survey (OS) maps, though there is a time lag as new editions of OS maps are published infrequently. There are four categories of PROW: Footpaths (FP), Bridleways (BR), Restricted Byways (RB) and Byways Open to All Traffic (BOAT). Only pedestrians have the right to use a footpath but cyclists have the right to use all the others. All PROWs in Hertfordshire are identified by parish, type and number, so “Sandridge BR 06” refers to Bridleway 06 in the parish of Sandridge. However, many routes used regularly by walkers, riders or cyclists, which are assumed to be rights of way, may not actually be recorded as such. The Cycle Track Act 1984 gave local Highway Authorities powers to convert footpaths into cycle tracks, subject to the landowner’s agreement, and with provision for compensation, but bizarrely cycle tracks are not classified as Public Rights of Way although both walkers and cyclists have the right to use them! An unfortunate omission from this legislation is that cycle tracks are not recorded on the Definitive Map, so they do not appear on OS maps. It is possible to create new PROWs, and there is an active campaign (mainly by walkers and horse-riders) to gather historical evidence of the use of paths and lanes. This is on the basis that “once a highway, always a highway”. This needs to be done before the end of 2025, when new legislation comes into force that will end the right to claim such historical rights of way. The Highway Authority can make orders to create public rights of way, and landowners can dedicate them, for example as part of a commercial development. Phil then explained the local authority planning framework and the vital need to coordinate path users’ inputs to the various plans. The third edition of the Herts County Council Rights of Way Improvement Plan (ROWIP) was out for consultation at the time of his talk and this will form part of the Local Transport Plan. A Local Implementation Plan for St Albans was last produced in 2006, but needed to be revised. The St Albans Access Forum, with representatives of cycling, walking and horse-riding groups (including STACC), has been actively engaged with St Albans District Council and Herts County Council on updating the detail of this implementation plan. Phil emphasized how important it is for cycle network plans to mesh with the County ROWIP. Further layers of complexity are added by national and county frameworks. For example, the National Planning Policy Framework (PPF) provides good support for new paths, and the District has both Strategic and Local Development Plans. However, detailed requirements for new Public Rights of Way and cycle paths are not currently included in the draft Detailed Local Plan, so Phil urged the audience and STACC to lobby councillors about this. A further opportunity for improving cycle provision is by getting the new Neighbourhood Plans to adopt the relevant part of the ROWIP. 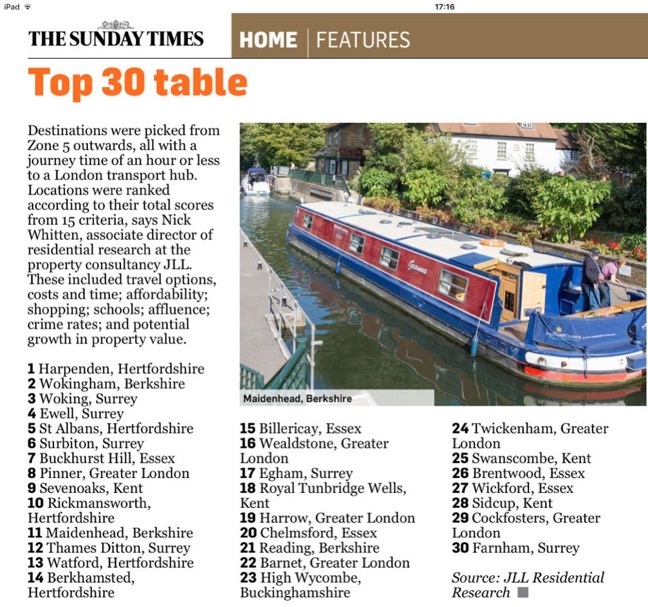 Surprisingly, there is no automatic right of access to footpaths and cycle routes on publicly owned land such as public parks and former railway routes such as the Alban Way. Phil gave a caution about permissive paths – they are not public rights of way, and can be closed by the landowner in the future without notice and without any right of appeal. They should never be accepted as compensation in a permanent new development because of this.  lobbying councillors to ensure that all these plans, policies and requirements are embedded in local plans at all levels. The talk was followed by a lengthy question and answer session. Many thanks to Phil for sharing his expertise in this complex field and putting it across in such a comprehensive and comprehensible form. The first part of the meeting consisted of the STACC AGM, when chairman John Metcalf reported on a successful year for the campaign, particularly the Cyclenation Conference in November, and invited any members who would like to play a more active role to join the committee. Lydekker Park and Harpenden Common in Harpenden have been recognised by the Green Flag Award Scheme as two of the very best in the world.The park and common are among a record-breaking 1,797 UK parks and green spaces that will today receive a prestigious Green Flag Award – the mark of a quality park or green space. Lydekker Park, located in the middle of Harpenden, is a haven of peace and tranquillity. Left to the people of Harpenden by Miss Hilda Lydekker in memory of her loves ones lost in the 1914 – 1918 World War, it has areas of open grassland, mature trees and pond habitats. Harpenden Common is a County Wildlife site in recognition of its varied habitats from acid grassland to woodland. It supports several sports clubs and is home to some wonderful iconic events such as Classics on the Common and Harpenden Carnival. The Town Mayor, Councillor Rosemary Farmer said: “We are absolutely delighted to receive the first ever Green Flag Award for Lydekker Park and the eleventh for Harpenden Common.We know how much quality green spaces matter to residents and visitors, and this award celebrates the dedication that goes into maintaining the sites to such a high standard”. To celebrate National Play Day, Lydekker Park will be the venue for the annual Teddy Bear’s Picnic on Wednesday 2nd August between 11.00am – 2.00pm. Attractions include: Captain Fantastic, bouncy castle and soft play, face painting, a Teddy Bear’s hospital, pond dipping and story time with Hertfordshire Library Service. Harpenden Colts are celebrating after being awarded a £4,500 Grow the Game grant, something that has attracted praise from England Manager Gareth Southgate. The grant, which will provide a boost to grassroots football in Harpenden, has paved the way for Harpenden Colts to help expand its girls section. 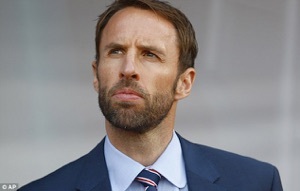 England Men’s Senior Manager and Football Foundation Ambassador, Gareth Southgate, said: “I am so pleased that Harpenden Colts has secured this Grow the Game grant. The club has worked very hard with Hertfordshire FA and the Football Foundation to get more local people playing football so that they can enjoy the many physical and mental benefits that come with playing regular sport. Grow the Game is a £2.5m programme funded by The FA and the Football Foundation. It awards grants to grassroots football clubs that wish to create new teams, especially amongst under-represented groups. £1,500 is available to help FA-affiliated clubs with the cost of creating a new team, which might include the cost FA coaching courses; FA league affiliation costs; referees’ fees; first aid kits; and even football kit & equipment. Ian Holden, club chairman said: At Harpenden Colts we have benefited from a high number of girls joining the club in the last 24 months. “Thanks to the support from both the Football Foundation and Hertfordshire FA, this funding has allowed us to start three new girls teams which will allow us to provide more football opportunities for girls locally. 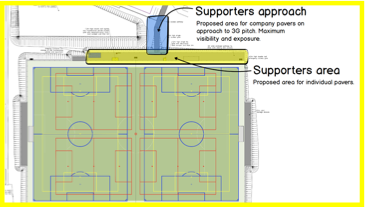 The brand new facility will replace the existing grass pitch (above) which is unusable during the winter months, due to the effects of the cold weather. The new floodlit all-weather pitch will be available to the community all-year-round. Grassroots sport in Hertfordshire is set to benefit from a major cash injection following the news that Roundwood Park School, in partnership with Harpenden Colts FC, have been awarded a generous grant from the Premier League & The FA Facilities Fund. The grant will enable the school to replace an existing grass pitch, which is unusable during the winter months, with a brand new third generation (3G) artificial grass pitch (AGP) that can be used all-year-round. This is expected to boost overall football participation at the facility by 217%. This will provide the school and its partner club with a state-of-the-art facility, benefitting players and pupils alike. Many of the school’s students play for the Colts, which currently has 60 teams across eight different sites. The brand new 3G AGP will enable the club to play at one facility, and introduce new teams. The new teams will include an Under-12 and an Under-16 disability side. The Colts already offer an inclusive football programme, supported by the Watford FC Community Trust, and hope to build on this to make football in the area more accessible. Watford FC Community Trust will also be delivering weekly community outreach programmes at the new facility, including disability and female football sessions. 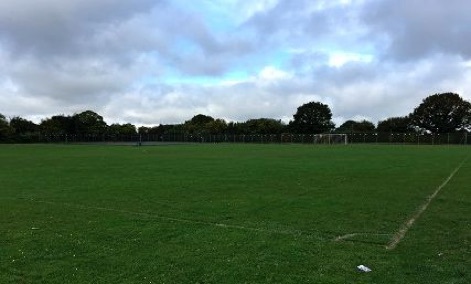 This, in addition to the five new girls’ teams planned by the Harpenden Colts, means an increase of 203% is expected for overall female football participation at the site. Roundwood Park School and Harpenden Colts FC worked alongside the Hertfordshire FA to secure a grant of £500,000 from the Premier League & The FA Facilities Fund. Other funding will be contributed by the club and school themselves. Paul Thorogood, Chief Executive of the Football Foundation, said: “It is fantastic news for Roundwood Park School and Harpenden Colts FC to have been awarded a grant from the Premier League & The FA Facilities Fund to install a new 3G AGP. “Since 2000, the Foundation has awarded 191 grants worth £10.8m across Hertfordshire towards grassroots sports projects worth over £19.4m. This latest project, in Harpenden, will have a great impact on the local community by opening up access to our national game and improving the quality of sporting experience they enjoy at the enhanced facilities. The Premier League & The FA Facilities Fund is funded by the Premier League, The FA, and the Government, via Sport England. 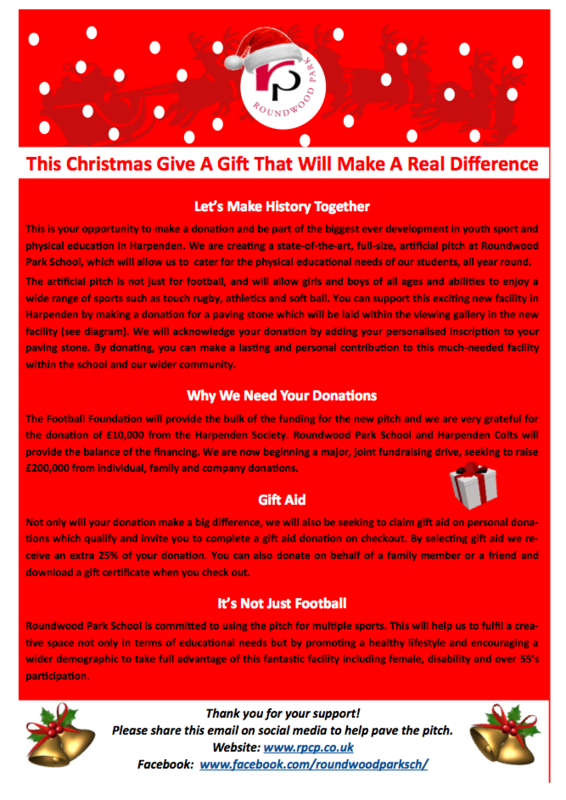 It is delivered by the Football Foundation, the country’s largest sports charity. Since it was launched in 2000, the Foundation has awarded around 15,000 grants worth nearly £580m towards improving grassroots sport, which it has used to attract additional partnership funding of just under £800m – over £1.4bn of investment into the grassroots game. By providing more high-quality facilities, coupled with coaching at the appropriate age group, the Premier League & The FA Facilities Fund aims to improve the experience for regular players as well as attracting new players to the game. Many of the new state-of-the-art facilities will serve to strengthen the connection between professional football clubs and their local communities, particularly in the most deprived areas of the country, through the professional clubs’ community trusts’ outreach work. Genetic modification of plants will be essential to avert future food shortages, conclude a group of agricultural scientists who have reviewed how biotechnology developments over the past 35 years have shaped the efficiency of crop production. GM crops able to repel insect pests or to resist herbicides have transformed the farming of soybean, cotton, maize and canola, reducing costs and increasing productivity, but lack of knowledge hinders further improvements in yield, particularly in testing climatic conditions, they say. Scientists have identified some genes that affect crop yields, such as those influencing grain size and leaf growth, but have still to fully understand the cellular and developmental processes, and how these processes behave in a field environment, they note. The team, from Rothamsted Research in the UK and from Syngenta Crop Science and Symmetry Bioanalytics in the US, present their review as an online opinion article in Trends in Plant Science. He highlights how GM research at Rothamsted identified a sugar, trehalose 6-phosphate (T6P), that controls the volume of starch in cereal grain and, in GM field trials, substantially improved maize yields in the field, from 10% in well-watered crops to 120% under drought conditions. “But we got there only because field trialling was conducted in parallel with fundamental science of which genes to target and how to target them in the field environment,” says Paul. 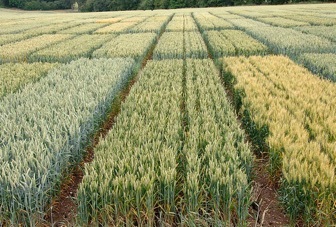 Subsequent collaboration with chemists at the University of Oxford led to the pioneering development of a chemical method to alter T6P that, if commercially successful, would enable farmers to spray an enhancer onto crops to increase grain yield. “In the case of trehalose signalling, fundamental science has run alongside field evaluations to deliver yield improvements with a strong element of understanding mechanisms,” concludes the review paper. SHOP LOCAL HARPENDEN is a new campaign developed by a core group of Harpenden’s local business owners and HARPENDEN TOWN COUNCIL to encourage local people to support their local independent shops and businesses. Research from the Federation of Small Businesses (FSE) found that for every £1 spent with a small or medium-sized business 63p was re-spent in the local area compared to only 40p in every £1 spent with a larger business. The campaign, which is set to launch at this Sunday’s HARPENDEN CHRISTMAS CARNIVAL, is aimed at bringing people back to their local High Street to support shops and businesses that are run by local people. 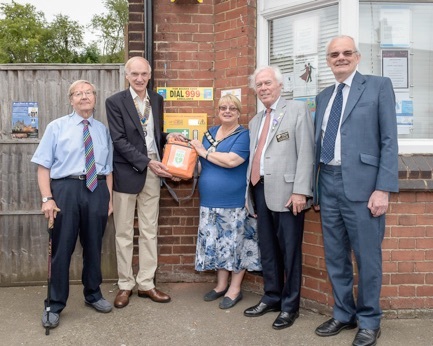 As part of the launch shops will be handing out re-usable bags and sporting the ‘SHOP LOCAL’ logo in their window to signpost their involvement and support. The campaign was partly inspired by the people of Harpenden who have expressed their discontent recently that so many independent businesses in the area have been forced to close. Personalise a paver for your family, your children or dedicate it to someone special. We need your help to meet our fundraising target of £200,000.